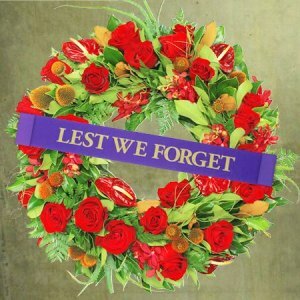 Anzac Day is observed on the 25th of April every year. 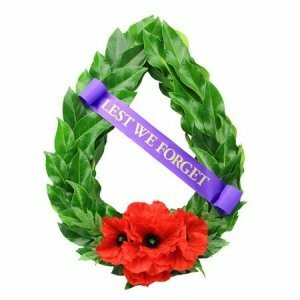 Originally Anzac Day was devised as a way to honour the members of the Australian and New Zealand Army Corps who fought at Gallipoli in World War I. Nowardays, Anzac Day is a national day of remembrance to commemorate Australians and New Zealanders who served and died in all wars, conflicts and peacekeeping operations. 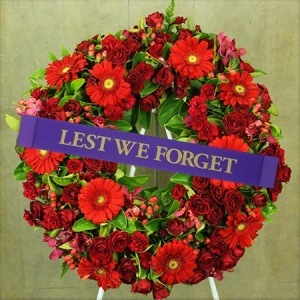 Wreaths have traditionally been laid on graves and memorials in memory of the dead. 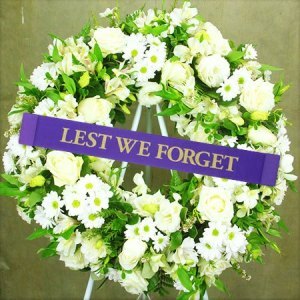 For Anzac Day wreaths, it is quite common to use rosemary, which is symbolic of rememberance. 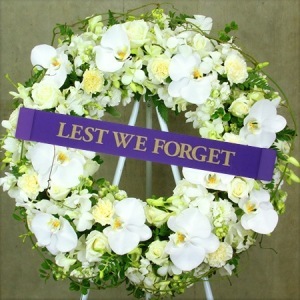 Another commerorative symbol used in Anzac Day wreaths is laurel foliage, historically used by the Ancient Romans when crowning victors and the brave as a mark of honour. 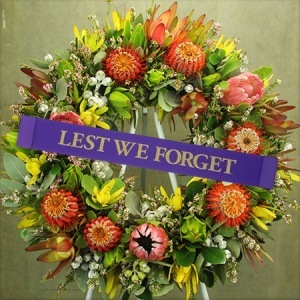 Flowers for Everyone have selected a range of fresh floral wreaths as well as a classic laurel design with silk red poppies, available for laying in memory of the Anzacs on the 25th of April. 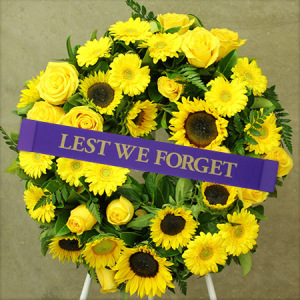 Our wreaths come with a purple sash with the words `Lest We Forget`. 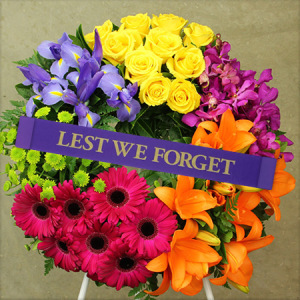 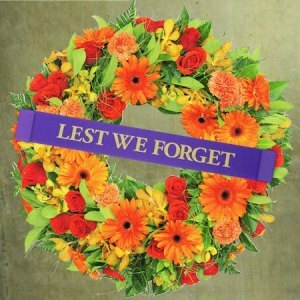 Place your order for an Anzac Day wreath online, or give our team a call on 1800 66 66 46 or advice and assistance.